Although Maurizio Sarri continues to suggest he’ll not be looking to bring in a striker, once the January transfer window opens but is content to work with those he currently has, would it surprise anyone if Chelsea did splash the cash next month? Against Bournemouth, in midweek, it was blatantly obvious that Chelsea, who are more than capable of producing some spell-blinding football, lack that somebody who is a natural goal-scorer, how I wish Diego Costa was still with us or Didier Drogba was ten years younger. 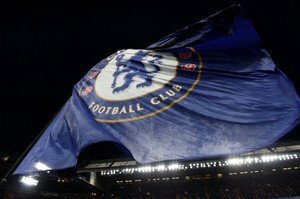 But, despite Sarri’s insistence to the contrary, speculation is mounting that suggests those behind the scenes at Stamford Bridge, are focussing on bringing in a world-class striker with the news vehicle, the Daily Mail, implying that the Argentine striker, Gonzalo Higuain, is back on the agenda. Now, there’s no denying that Higuain is a classy operator but it is probably fair to say that, at 31-years-of-age, he doesn’t have that long left at the very peak of his game. Also, at 31-years-of-age, Higuain isn’t likely, with Chelsea’s current policy relating to those over 30, to be offered a lengthy contract. But, if the Argentine could be persuaded to come to SW6 and perform at the top of his game for two seasons, it would allow Tammy Abraham to be groomed to take over the striker role, something, given time, he is quite capable of. Do you concur with the above views?